Gigabair today launch its Metro Broadband service to Leicester City. Delivering to the town centre within a 500m-1.6km distance from St Georges Tower, customers have a choice of synchronous broadband speeds from 100Mbps to 2.5Gbps services. 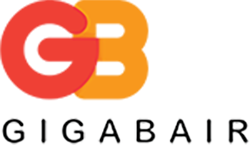 With the launch of the Goverments gigabit broadband voucher scheme, customer can benefit in upgrading their existing connections without any installation cost. Our low cost 1Gbps service starts at £99.99 per month.